Following on from Jack L. Warner – The Last Mogul we are pleased to welcome acclaimed author and journalist ADAM FEINSTEIN to introduce The Adventures of Robin Hood (1938), in a rare 35mm presentation courtesy of Park Circus. Adam, a respected specialist in the work of director Michael Curtiz will talk about the making and legacy of a bona-fide Warner Bros classic. His introduction will be preceded by an event dedication with host Rebecca Nicole Williams. Errol Flynn stars as Nottingham’s favourite son in Michael Curtiz’s swash-buckling epic, co-starring Olivia de Havilland, Basil Rathbone and Claude Rains, with a rousing score by Erich Wolfgang Korngold. 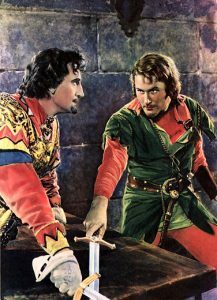 A Technicolor delight, with many action set-pieces, the most memorable the swordfight between Flynn and Rathbone at the film’s climax. 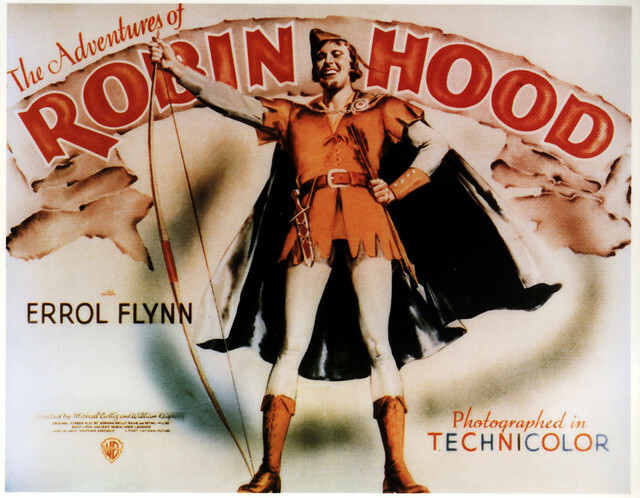 The 6th highest grossing film of 1938, The Adventures of Robin Hood went on to win three Academy Awards, for the score, art direction and editing. Doors open at 17:45 for an 18:15 start. All profits from this screening will go to the Save the Cinema Museum Campaign Fund. Ticket holders for BOTH Jack L. Warner – The Last Mogul at 15:00 AND The Adventures of Robin Hood will be treated to a half hour programme of remastered classic Looney Tunes FREE at 17:15. In advance: £8.50/£6.50 concessions, on the door: £10/£7 concessions.